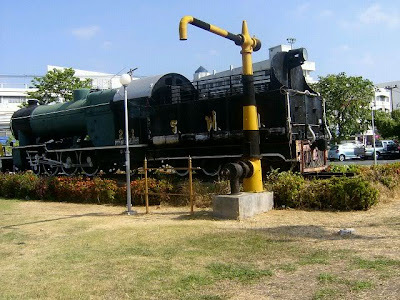 Korat does have a train station with trains going in three major long-distance directions: north to Nongkhai, east to Surin and some trains further on to Ubon Ratchathani and south to Bangkok, besides some local lines like the one to Non Sung. On many trains you can get tickets for up to three different classes, so better watch out, which one you get your ticket for. There are fast trains and also extremely slow trains, stopping at small villages. More recommended as mode of traveling in Thailand are the blue VIP busses; they're faster and more comfortable, though not necessarily safer.